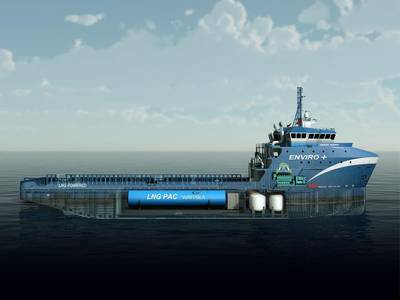 In addition to being powered by cleaner burning natural gas, the vessel is “ENVIRO+, Green Passport” certified by ABS, making her and her sister ships the most environmental friendly OSVs in the Gulf of Mexico, Harvey Gulf said. The Harvey Freedom will be based out of Port Fourchon, La. and will immediately begin a five-year charter with a major oil and gas company.